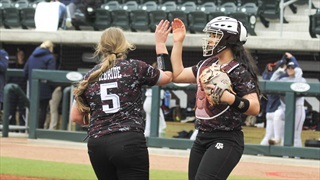 The Aggies got their revenge on the Flames on Saturday, knocking off Liberty 1-0 less than 24 hours after falling to the Flames on Friday night. 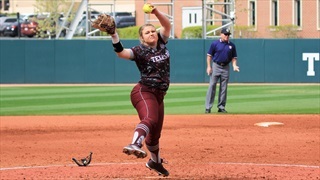 Texas A&M was aided by a dominating pitching performance from junior pitcher Payton McBride. 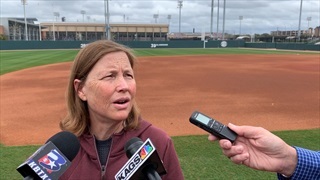 Head softball coach Jo Evans along with players Baylee Klingler and Payton McBride met with media today at Davis Diamond. 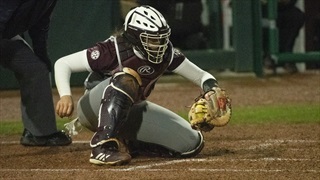 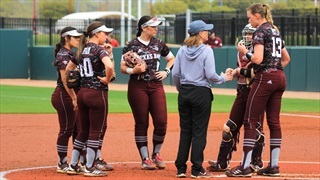 This weekend the Aggies will take on McNeese, Rutgers and Liberty in a home trilogy. 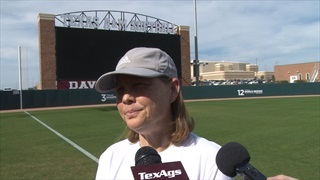 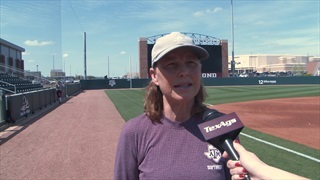 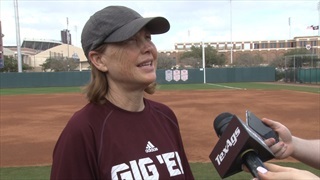 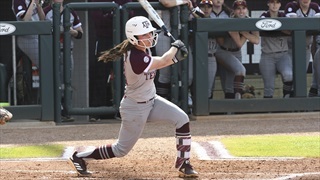 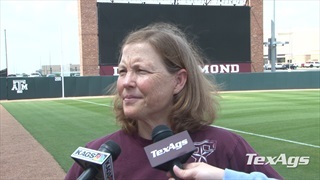 A&M softball head coach Jo Evans and players Tori Vidales and Payton McBride met with the media Friday afternoon to break down the Aggies' 5-0 start as well as their upcoming opponents in this weekend's Texas A&M Invitational.